The Lincoln property market has seen a steady improvement and this upward trend has continued with new instructions and sales being higher than those achieved in the previous years. Lincoln is suitable for everyone from students and young couples to families and retirees, and with schools in the area offering higher than national average results, Lincoln is fast becoming a sought after area to live in. The area is well-known for its iconic Christmas Market, historic Cathedral and the famous Bailgate area. There are a large variety of properties available in the area, ranging from Victorian, Georgian and Edwardian period properties, to more contemporary style homes. As one of Lincoln’s most successful and popular estate agents, Your Move has properties for sale in and around the area to suit everyone's budget. Some of the most sought after addresses in Lincoln range from £250,000 - £2,500,000. Current rental prices start from around £350pcm for a studio apartment - or £400pcm for a one bedroom flat. Two bedroom flats can cost between £450pcm and £550pcm and is subject to location and distance from the town centre. Prices for three to four bed homes can range from £600pcm to £2000pcm. Rental property is one of the most active markets within Lincolnshire. 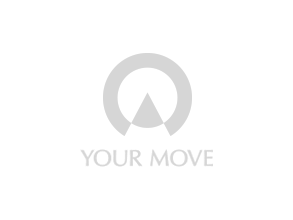 Our Your Move Lincoln branch covers the following postcodes; LN1, LN2, LN3, LN4. The branch also covers part of LN5, LN6, LN8 and DN21.